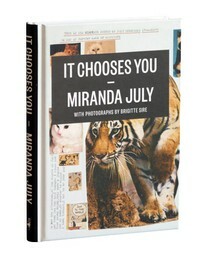 I recently finished reading Miranda July’s book, It Chooses You, and I thoroughly enjoyed it. The author has hit a writing roadblock while struggling to finish her well overdue movie script. Lying around her suburban area home in sunny LA she starts reading the PennySaver ads. For writing inspiration, she gets the bright idea to call the individuals advertising in the wanted ads. She asks them if she can interview them about their lives. Many people hang-up the phone on her but she comes across a few people who are not only willing but happily invite her to their home. She gets a glimpse inside these people’s lives and discovers one common trait among them all- none of them own or even know how to use a computer. The year is 2009. She discovers how easily people are happy with very little material items in their lives. She begins to realize everybody has a s story worth telling that is interesting, no matter how small or how little they have. She finishes her script and even incorporates one of her interviewees into her movie. Creating characters was not hard once she realized we are all characters making our own fictional stories on a daily basis. You do not have to look very far for inspiration; you just need to get creative. I would give it 4/5 stars. 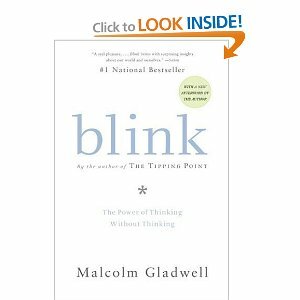 After reading Malcolm Gladwell’s novel, Blink, I have realized that I, like most people, make most decisions unconsciously. It is a proven fact that most decisions we make are unconscious so my advice would be to “chill out.” Since most decisions in your life an uncontrolled, whether you think they are or not, just be happy you are able to make your own decisions. If you do not live in the moment, how would you ever notice things in the “blink of an eye”? Our inability to describe how we behave in any given moment happens in numerous examples including how tennis players or any athletes are unable to explain every movement they make. Asking a tennis player how he/she serves is not easily answered because it becomes an unconscious movement to the player. They know they have tossed the ball in the air and hit it over the net but all the variables in between get lost in the “blink of eye”; the milliseconds it takes for the player to make contact with the ball. Improv is a perfect example of thinking associated with Blink. Actors are to react quickly without knowing how the other character will respond. Advertising is directly related to the Blink thinking. We associate taste, smell, touch and color to how attractive or interested in a particular product we are. We would not want to purchase a square container of ice cream because we associate ice cream with the smoother, softer object of a circle. Therefore, ice cream containers are round depicting the flavor of ice cream on the front of the carton with enticing figures of mouth-watering flavors. Also, our inability to understand our own minds makes us vulnerable in most day-to-day activities. We rationalize a plausible-sounding reason of why we like or dislike something and then we adjust our true preference so it is in line with that plausible-sounding reason. Every waking minute we are around or with people we are making and forming judgments and assumptions of others. We do this based on their looks, clothing, color of skin and other characteristics. The Symphony orchestra changed their auditioning process to take place without seeing the individual play the instrument. What resulted was more female musicians becoming hired as well as more foreign members of the orchestra. I would recommend this book to anyone who finds psychology and philosophy interesting. Cannot wait to check out his other books. Currently, I am reading “The Black Swan” by Nassim Nicholas Taleb. Taleb is a philosopher who has founded the Black Swan theory: The impact of the highly improbable. The Black Swan Theory describes how the structure of randomness in empirical reality. For example, the attack of 911 was a “Black Swan” event. It was not supposed to happen. Nothing could have prepared the U.S. for the event because it was not planned to happen. To sit here and say “we should have done this” or “why didn’t we do that” is useless. We need to realize that, like any other circumstance, it was an event that happened without knowing the outcome. How often do we all see this in ourselves and others? 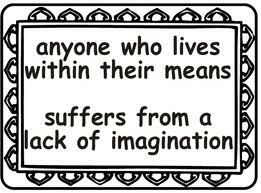 We lack imagination throughout the day so we instead find other outlets to let our imaginations run wild. The sad realization is that we tend to take our frustrations and boredomness out on the ones who are closest to us. Whether it is gambling, cheating or drugs, the outcome is almost always negative. Nothing makes me smile more than a kid’s imagination and their “anything is possible” approach to solving problems. If we continue to let ourselves live in a boxed-in way of thinking, our lives become rhythmic, predictable and motionless. Instead of repressing our lack of imagination in others, there are so many other ways to find imagination such as art, writing, music, sports, and cooking to name a few. 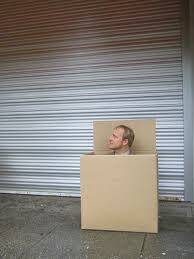 Push yourself out of the box, let me know what happens. You cannot predict what will happen if you stay closed in and you cannot predict what will happen if you step out, so I say, “Why not?” This book reiterates my personal theory to take as many risks as you can. Why not? I constantly ask myself. Life is too short to constantly hold yourself back. If you enjoyed your philosophy/ psychology/ conceptual theory classes in college, I highly recommend this novel as it reads more like a textbook than a book . Gee, I think I miss college, never thought I would hear myself say that!